Christmas Music Fanatics and Mitchell Kezin's "Jingle Bell Rocks"
Mitchell Kezin is the director of the new documentary Jingle Bell Rocks! 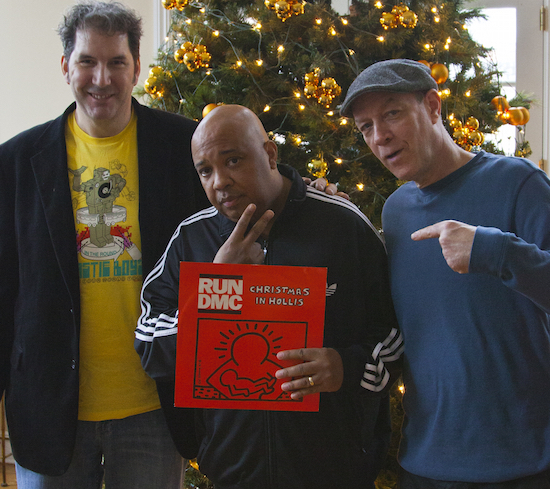 Rockin' Around the Christmas Tree at 33 ⅓ RPM. In it he unravels the backstories of twelve alternative Christmas songs that you won't hear on the radio or in department stores. You'll hear a few of those tracks today. The film includes other famous Christmas-music lovers including Wayne Coyne from The Flaming Lips and John Waters. Kezin will tell us why a grumpy Christmas song helped ignite his love of holiday music and how the US Air Force produced a Christmas album in the late 1960s (complete with fighter jets). He'll also recommend some of his favorite records for people who want to branch out from Bing Crosby. Jingle Bell Rocks! is available now on VOD and DVD. If you liked this, share it! Click here for a streaming, embeddable version of this interview. If you've ever listened to Mystery Science Theater 3000 or RiffTrax, you know who Bill Corbett is. He's been mocking bad movies for decades, alongside his collaborators Michael J. Nelson and Kevin Murphy. He's also kept busy as a writer, a screenwriter and a playwright. He writes for the public radio show Wits, was a contributor to A Prairie Home Companion and even wrote the Eddie Murphy movie Meet Dave. This year, he's getting into the holiday spirit. What if Santa Claus and Rudolph were actually super heroes that went by the names Red Avenger and Caribou? What if they spent their time fighting the villainous Ebenezer Scrooge? That's the premise of Corbett's new graphic novel Super-Powered Revenge Christmas. Corbett will tell us why he chose to tackle a Christmas reboot, and explain why his most important holiday tradition involves melted cheese. And we couldn't let him go without divulging one of his favorite bad Christmas movies -- he'll tell us about Santa and the Ice Cream Bunny. 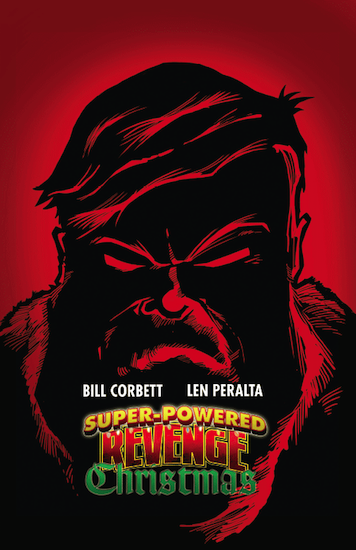 Super Powered Revenge Christmas is now available. The Daily Show writers Dan McCoy and Elliott Kalan host The Flop House podcast along with their pal, Stuart Wellington. The films the show covers aren't complete amateurish duds like The Room or Birdemic. Rather, they deal with Hollywood gone wrong. Think films like Pompeii or Dracula 3D. Now the show's hosts have written a new holiday comic: The Flash Gordon Holiday Special: 2014. The adventures Flash and his crew go on show the hero in unusual situations that you may not expect; especially if the only thing you know about Flash is the 80's Queen song. They'll talk about the Flash Gordon mythos and some of their favorite bad Christmas films. Plus, they'll explain how they celebrate Cagemas; a special holiday tradition that's all about Nicolas Cage. 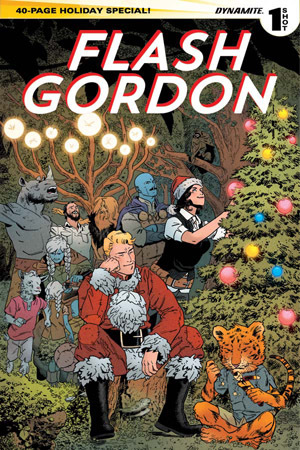 The Flash Gordon Holiday Special: 2014 is out this month from Dynamite Comics. Jesse doesn't have many holiday traditions. 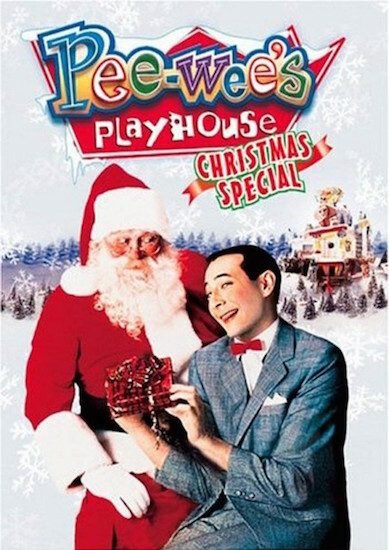 But he'll tell you about the one thing that he makes time for every year: The Pee-wee's Playhouse Christmas Special.